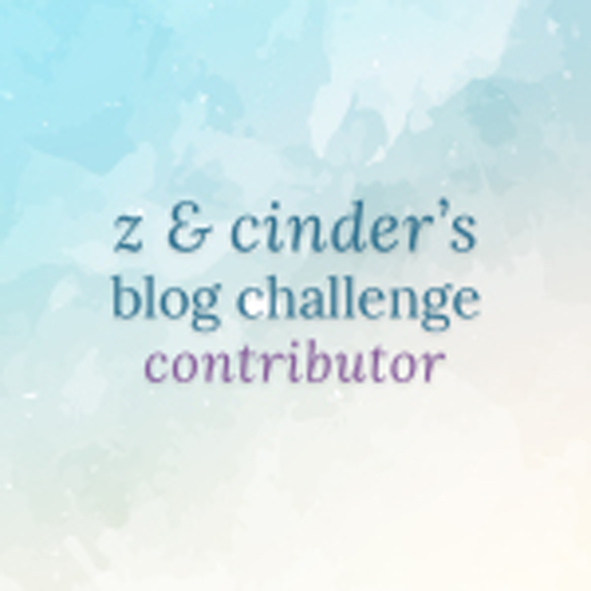 Cinder and I have opened up our shared blog topic challenge for everyone to join in on. 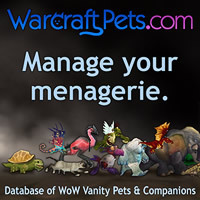 The more the merrier! 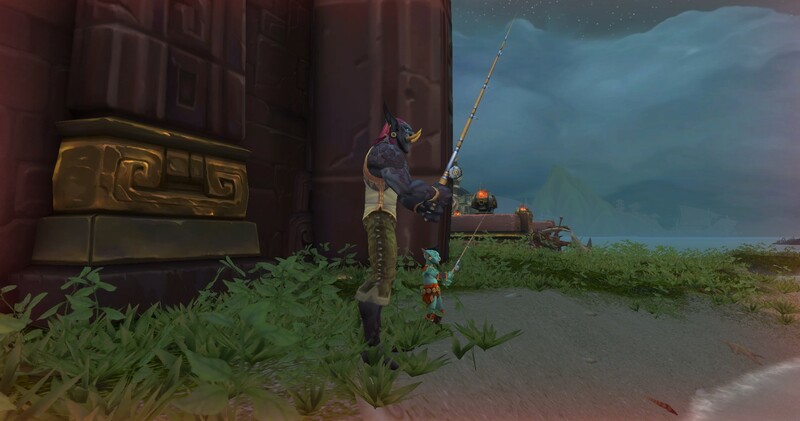 To celebrate exploring a brand new expansion our topic this time is to share the screenshots we’ve taken in BFA so far. 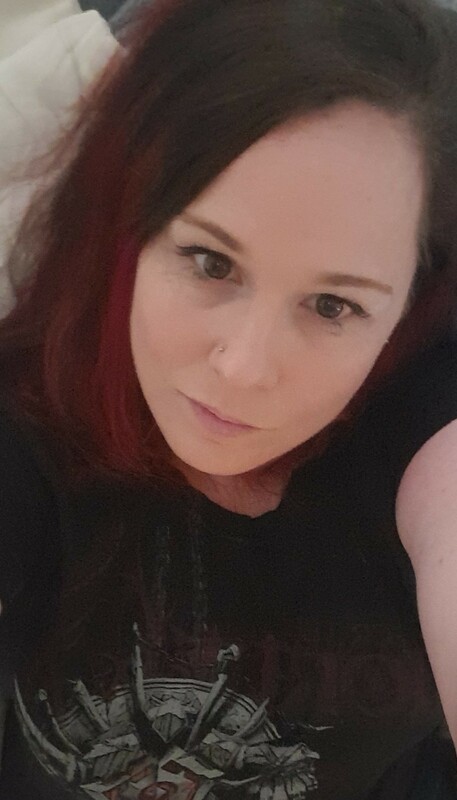 We said 5, but to be honest sticking to just 5 is near impossible, so I’ve gone over a bit a lot. 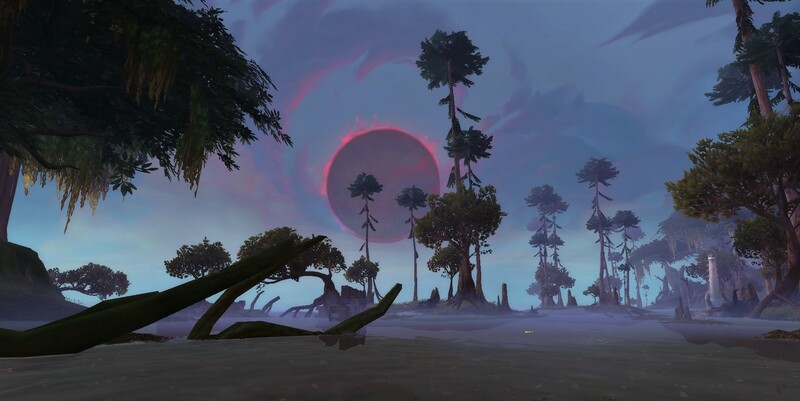 I’ve been playing as both Horde and Alliance and both zones are just so gorgeous. 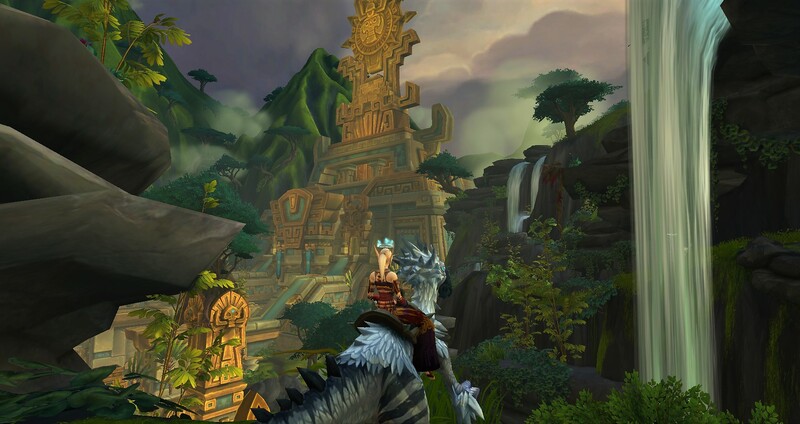 I think I’ve got a small bias towards the scenery and zones in Kul Tiras over Zandalar, but pretty much every step I take no matter what zone I’m in is just simply gorgeous and picture worthy. 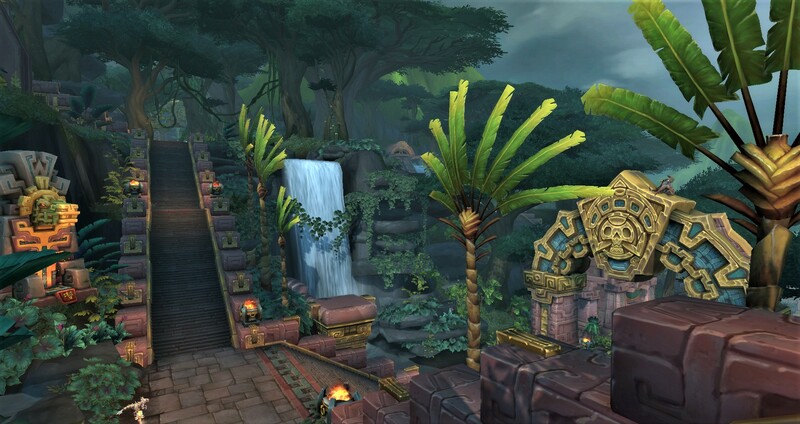 Zuldazar is a gorgeous ancient golden city full of tropical rainforest and waterfalls. I adore waterfalls in real life, so this city just feels like a tropical haven. 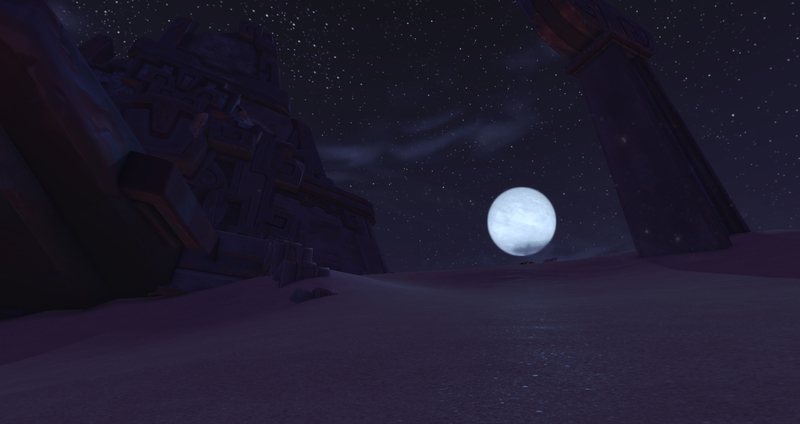 Deserted beaches in Nazmir are beautiful and spooky. 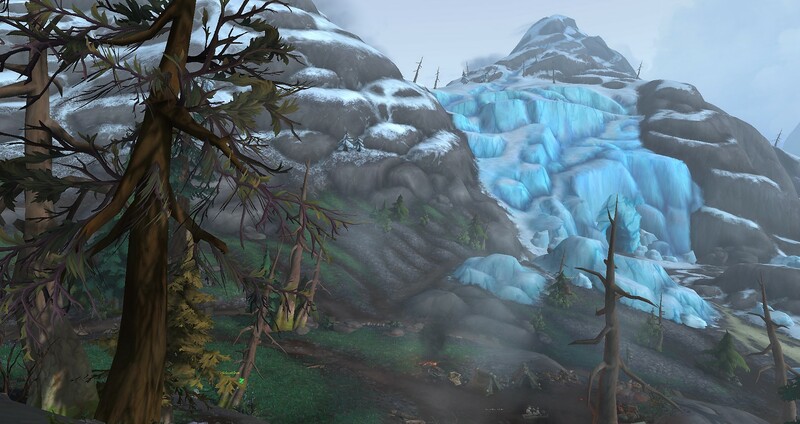 Moving from the tropics of Zandalar up into Kul Tiras makes me feel like I should be transmogging into winter clothes. 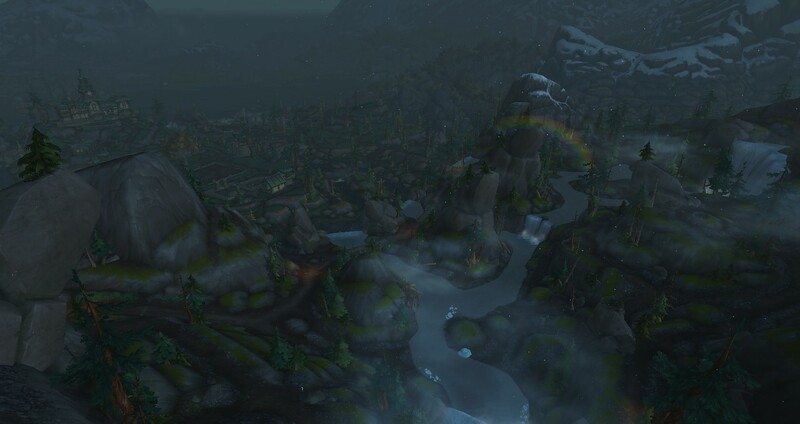 Next to waterfalls, rainbows are one of my favourite natural phenomena and Tiragarde Sound gives me both. 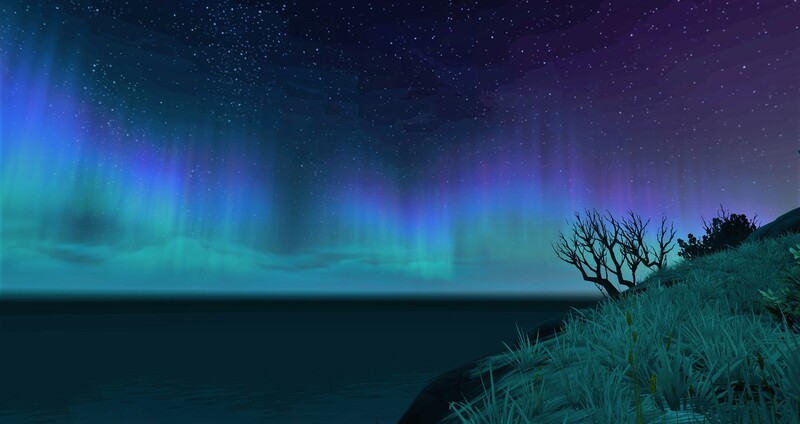 The skies are simply stunning in every zone. This was the cutest reference to come across. 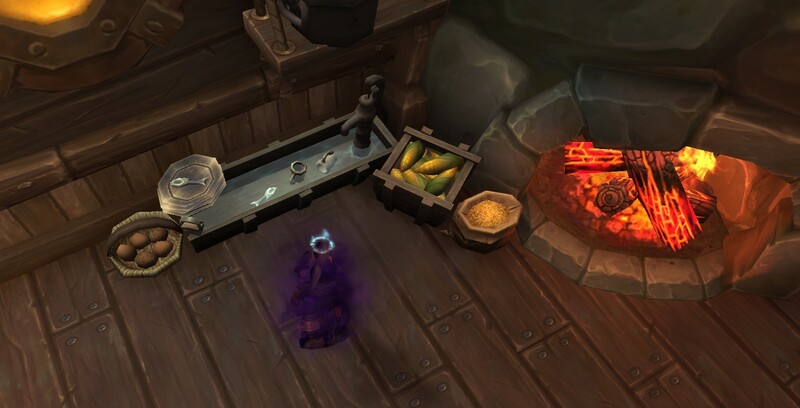 The details are so well done, the spoons in a little house in a fishing village are fish-shaped! 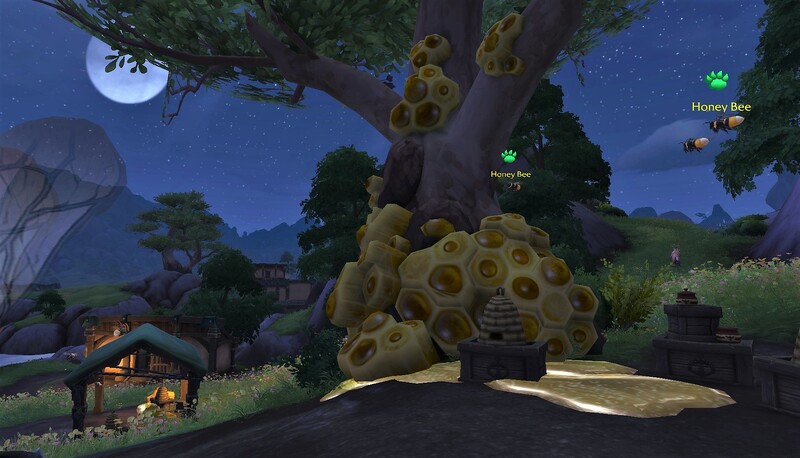 I’ve collected Honey Bee battle pets and I’ve seen Hunters with Bee pets, I’m really hoping there’s a Bee mount hiding somewhere in this expansion too. This expansion really brings the children into the scene. 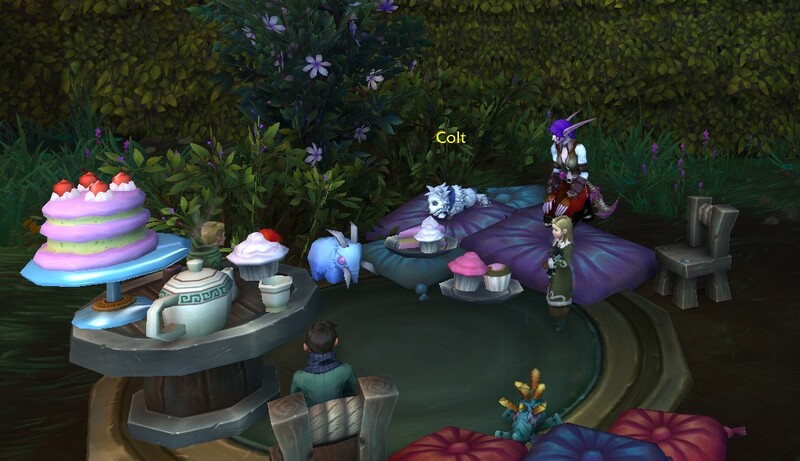 This was a gorgeous tea party to stumble across near the maze in Boralus. The human girl is holding an adorable patient cat in her arms. 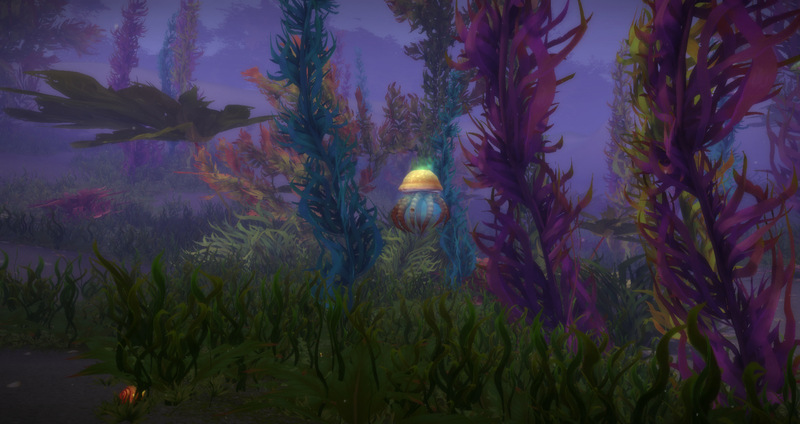 Even ducking underwater gives some gorgeous views. This is one very beautiful expansion. There’s a lot of exploring yet to be done and I can already see my screenshot folder filling up after only a fortnight.